In 1959, William Russell and Rex Burch introduced the 3R principle (Replacement, Reduction and Refinement) in their book ‘The Principles of Humane Experimental Technique’. Replacement: to replace the use of laboratory animals by alternative methods to animal testing. Examples are the use of in vitro methods (such as human cell- and tissue cultures) and in silico models (via computer simulations). Reduction: to reduce the number of laboratory animals. An example of reduction is the accurate calculation of the number of laboratory animals required for a scientific study. However, it is important to note that the number should be sufficiently high to obtain statistically reliable results. Another example includes the sharing of laboratory animals, so that certain organs can be used for one study and the carcass and/or the remaining organs for another study or for educational purposes. Sometimes a fourth R for "Responsibility" is added referring to the "Culture of Care" philosophy in laboratories to which each scientist should contribute. According to this philosophy, scientists and lab technicians are committed to work in an ethical and correct way, obtaining as much scientific progress as possible while minimizing animal suffering. In Belgium, the European Directive 2010/63 concerning the protection of animals used for scientific purposes has been transposed into the Royal Decree concerning the protection of experimental animals (29 May 2013 - only available in NL and FR) . This Royal Decree is the responsibility of the Animal Welfare Departments, and is implemented at the regional level. As a result, the Flemish Region, the Brussels-Capital Region and the Walloon Region are each individually responsible for the implementation of this regulation within their respective region. More information about legislation in the Flemish Region. More information about legislation in the Brussels-Capital Region. More information about legislation in the Walloon Region. What is a laboratory animal ? According to this definition, all vertebrates (mammals, birds, fish, amphibians and reptiles) are included in the term 'laboratory animal'. However, this does not automatically mean that animal experiments may be performed on all vertebrates. Experiments on great apes, for example, are forbidden in Belgium. In Europe, animals may also no longer be used for testing cosmetics or for the development of tobacco products. Most invertebrates (insects, worms,...) are not included in this definition and may therefore be used for animal experiments. The use of cephalopods (squids and octopuses) is an exception to this definition, as experiments with this species are considered as animal experiments. What is an animal experiment ? The legal definition of an animal experiment is provided in the Law of 14 August 1986 on the protection and welfare of animals: "any invasive or non-invasive use of an animal for experimental or other scientific purposes, of which the outcome is known or unknown, or for educational purposes, which may cause the animal as much or more pain, suffering, distress or lasting harm as the insertion of a needle applying good veterinary practice. This also includes any action of which the purpose or possible consequence is the birth or the hatching of an egg of an animal or the establishment and maintenance of a genetically modified animal species, but does not include the killing of animals for the sole purpose of using their organs or tissues. What is the origin of the term "alternative methods"? In the RE-Place project, we focus on alternative methods that are categorized as Replacement and Reduction. What are 'alternative methods' - 'Non Animal Methods' - 'New Approach Methodologies'? A few years ago, there was an international trend to refer to test methods that do not use vertebrates as ‘Non Animal Methods’. 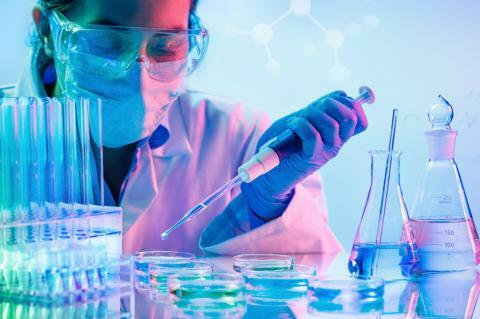 Similarly to 'alternative methods to animal testing', the term 'Non Animal Methods' was mainly used in the field of toxicology and in particular for regulatory applications. However, due to the rapid increase in the number of new methods in biomedical research (e.g. development of organoids), there was a need for a definition that reaches beyond the domain of (regulatory) toxicology. More recently, the abbreviation NAM is therefore increasingly defined as 'New Approach Methodologies' instead of 'Non Animal Methods'. Nevertheless, until today, the three terms are still used interchangeably. As the RE-Place project specifically also aims to collect methods from biomedical research, the term 'New Approach Methodologies' will be mainly used throughout the website. What does in chemico mean? In chemico research is based on the chemical and physiological properties of a certain substance/product. This information can be used, for example, to predict the activity or toxicity of certain substances/products (e.g. in the development of new medicines). A more concrete example is the ‘Direct Peptide Reactivity Assay‘(DPRA) to evaluate the potential of a component to induce skin sensitization. What is an in silico method? In silico methods are based upon computer simulations. By using mathematical models, the properties and behavior of certain molecules and/or components are predicted. A typical example is a '(quantitative) structure-activity relationship [(Q)SAR]' model. What is the difference between in vivo, in vitro and ex vivo methods? In vivo research refers to studies on living organisms in which both animals (an animal experiment) and humans (a clinical study) can be used. The main advantage of in vivo research is that the collected information applies to the general effects on the entire organism and not just on one specific level (cell/tissue/organ). In vitro methods are performed in a controlled environment such as a Petri dish. A typical example are methods that involve the use liver-specific cell lines (e.g. primary human hepatocytes) to investigate the effects of future medicines. Ex vivo research is situated between in vivo and in vitro research. The best-known examples are methods that make use of tissue slices or organs from deceased animals (e.g. originating from slaughterhouse waste). When using an IATA or ‘Integrated Approach to Testing and Assessment’, a combination of different NAMs [e.g. (Q)SARs, in chemico, in vitro, ex vivo,...] is used to investigate a certain hypothesis. An example is the combination of QSAR predictions with data from in vitro research to predict the safety of certain substances or components. In read-across, the properties of a given substance are predicted by using data from substances with similar structures. ARRIVE (Animal Research: Reporting of In Vivo Experiments) Guidelines: These were drawn up by the NC3R to improve the reporting of studies involving animals used in experiments. The aim is to improve the published information on animal experiments and to avoid unnecessary studies.